Sometimes you have guys who are auteurs. You see a few lines of dialogue and you can generally identify something that Kevin Smith or Quentin Tarantino wrote (or at least that it's something from somebody aping their voice), and you can look at Scorcese and see his distinctive visual style in no time. For Scott Snyder, it seems to be "Here's a history lesson--and it goes back way farther than our hero could possibly know and it involves a vast conspiracy and/or mystery that could CHANGE THE HERO'S WORLD AS HE KNOWS IT. "When thirteen satellites fall from the sky in one day, the logical suspect is Lex Luthor—even though he’s still locked up in prison! 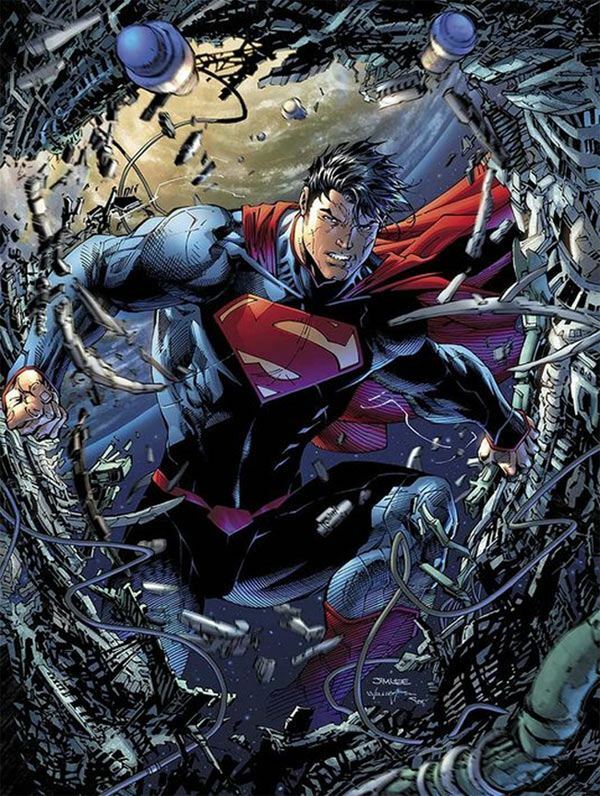 But a stranger question remains: If Superman didn’t stop the last satellite from falling, who did? There’s a mystery hidden where even Superman can’t see it—Can The Man of Steel drag a decades-old secret into the light? Don’t miss the debut of this red-hot new series from two of comics’ brightest superstars: SCOTT SNYDER and JIM LEE!" Kinda like that whole Court of Owls thing, where Batman thought he could see everything in Gotham until a centuries-old secret society was uncovered. Now, don't take this the wrong way: that formula is pretty sweeping and could apply to any number of stories. We're not saying that Snyder has a limited repertoire--merely that this all sounds a little familiar, and it might be the beginnings of an auteur's touch--like the way you know Geoff Johns's characters are going to be hip and a little meta (I'm looking at you, Booster Gold, Aquaman and Blackest Night) or Bendis's characters will all have a case of the terminal talkies. These are all great writers and those recurring motifs do nothing to take away from the work. It's just...interesting to see one developing in real time.